Who says the grill is just for meat and veggies? 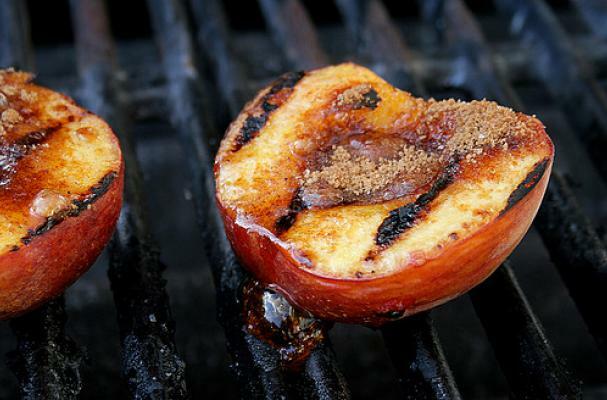 Fruit certainly has a sweet place on the barbecue and can make for a delicious and healthy dessert. Here are five delicious recipes for sizzling summer desserts! Like the best cobbler filling, soft, warm and amazingly tasty! Serve with brioche, over ice cream or with sweetened mascarpone. Get a taste of La Dolce Vita with this simple Italian style dessert - yum! You can serve it a la mode -- or on your burger. A light and refreshing breakfast or dessert - delicious! Preheat grill over medium-high flame. Cut banana in half, lengthwise. Brush cut sides with melted butter and place, cut side down, on the grill. Grill bananas 2-4 minutes or until tender, but not burnt. Serve warm with vanilla ice cream, warm chocolate sauce and your choice of toppings!